Back to one of our favourite wedding venues, Bix Manor, to install a large gathered canopy of fairy lights across the main barn where the wedding reception would be held. 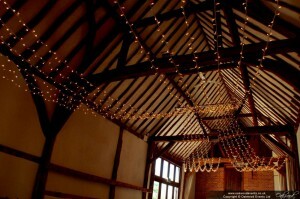 This fairy light canopy consists of two large swags of lights that meet in the centre of the barn above the top table. We install the lights with dimmers so that they can be bright and sparkly during the daytime and then turned down low in the evening. 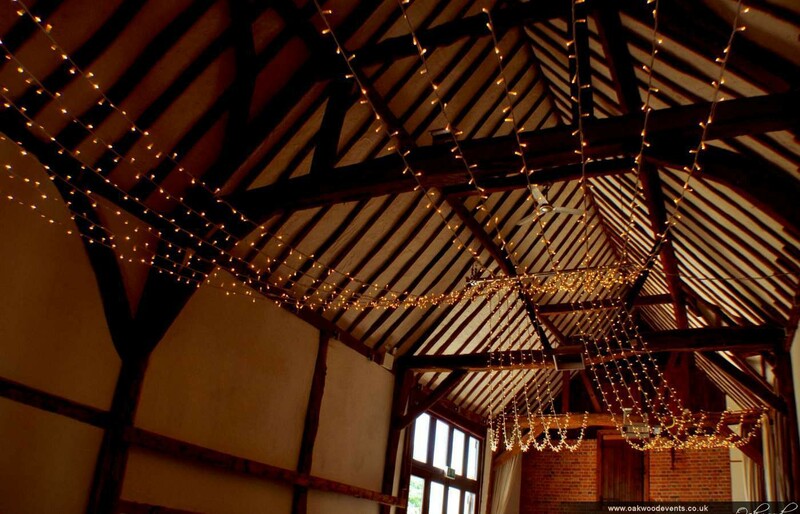 Also suitable for wedding lighting at Bix Manor are festoon lights, uplighting and chandeliers. To discuss lighting options for your wedding or event, please feel free to contact us.